For most fans, the highlight of every high school football season is the homecoming game under the Friday night lights, not to mention the highlight of the event; the crowning of the homecoming king and queen. The only thing that tops that is winning the game, especially when the victory extends the season to a four-game winning streak. To top that, fans enjoying the event in the packed stadium witnessed the surprise engagement of the home team’s cheerleading coach in between quarters. In a nutshell, that is what thousands of fans, parents and students who filled the Bloomingdale High School’s Charley Harris stadium to capacity experienced this month. From start to finish expectations were high on and off the field. 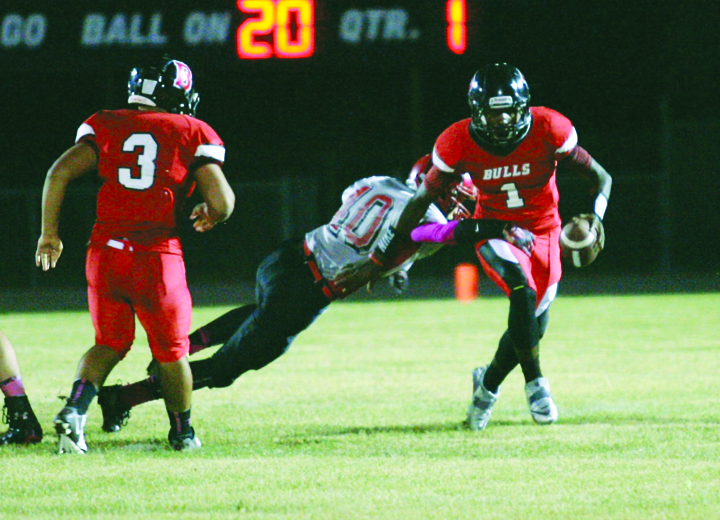 When the night was over, the Bulls (5-1 at time of writing this article), under the direction of first-year program Head Coach Brian Surcy, defeated East Bay 49-21, walking away with what is now considered the best football-season-start in school’s history. By throwing for six touchdowns, and running for another, Bloomingdale junior quarterback Isaiah McIntyre led his team to a 29-7 lead by half time. Adding another 10 points, Bull’s fans likely witnessed one of the season’s best home games. While McIntyre posted nearly 430 yards and accounted for seven touchdowns, the game-success was produced by his reliance on senior wide receiver Doug Sandberg, who has finished with 10 catches for 174 yards and three touchdowns. 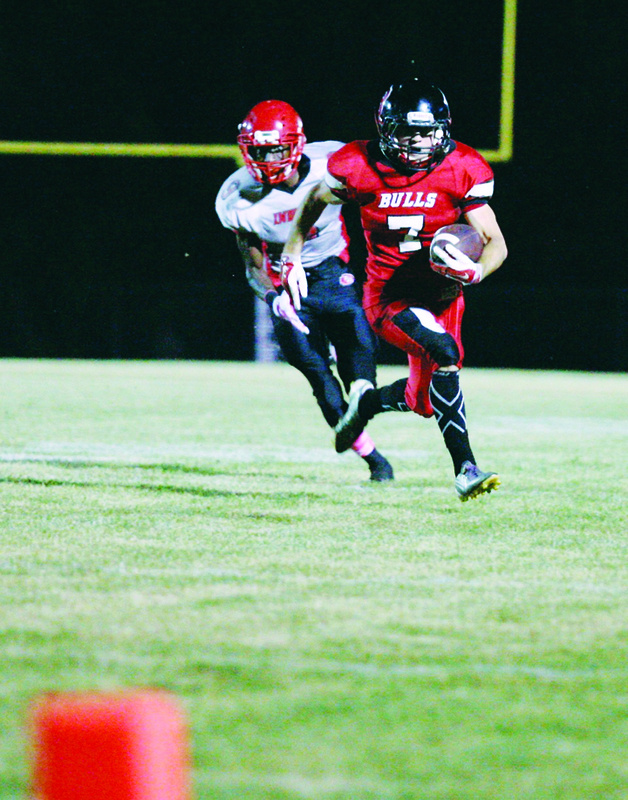 The Bulls success can also be credited to the hard work of seniors Logan Crouse (WR) and Tarick Barnes (FS). 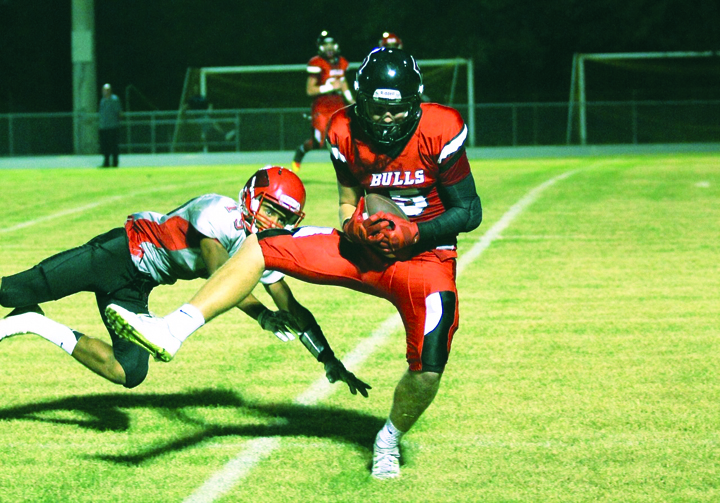 While East Bay fought back in the second half, closing the gap to 35-21 midway through the third quarter, it was too little and too late to catch up with the clearly much stronger Bulls offense. For more information about Bloomingdale football, visit www.maxpreps.com.